Back in 2013, Ubisoft put players in the shoes of Edward Kenway with the release of Assassins Creed IV: Black Flag. It was a game that represented a slight tonal shift for the series, and as it was set in the bright blue seas of the Caribbean during the Golden Age of Piracy, it not only brought along with it new mechanics to appropriately represent that era, but also rejuvenated the interest for that theme and genre among gamers. Sea of Thieves was announced at E3 2015, and almost instantly grabbed the attention of those gamers; of course, the key difference being that while Assassins Creed IV: Black Flag was a single player game, Sea of Thieves is entirely multiplayer. In its announcement trailer, Rare – the developer – teased a game that would give players the opportunity to discover mysterious lands, explore the seas with crewmates, plunder the riches in plenty, and face other crews sailing the seas doing all the same things. 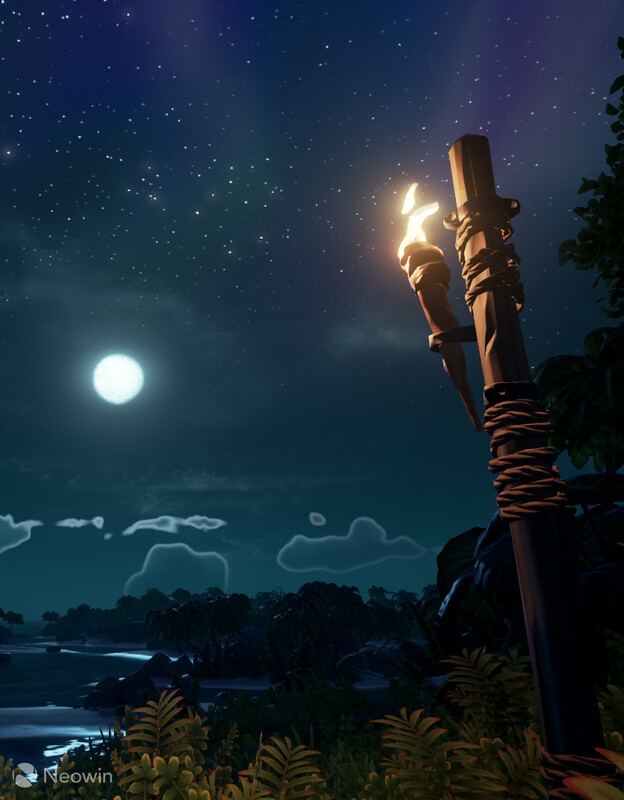 It’s been three years since, and Rare has put the game through an extensive alpha phase in hopes of perfecting its performance and balance. Has that effort been successful? We will find out. One thing is for certain though: Sea of Thieves is not designed to be played alone. Even though the game offers an option for solo play, it might not be a fun experience for most. The reasons for that are explained, but to properly review the game we are doing a joint review, with Neowin’s very own Dreyer Smit, Pulasthi Ariyasinghe, and Vishal Laul, fusing their opinions. Sea of Thieves is an Xbox Play Anywhere title, meaning that if you buy a digital copy of it for the Xbox One, you would also be able to play it on a capable Windows 10 PC, and vice versa. 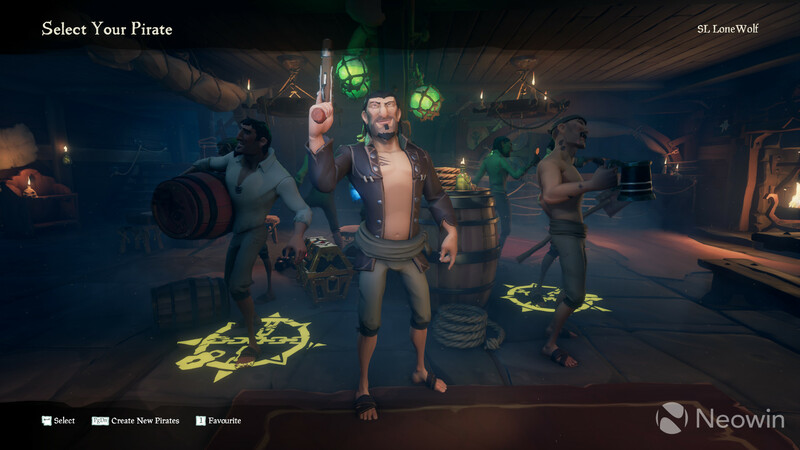 Rare has also included crossplay into the mix, allowing players on the Xbox One consoles and Windows 10 PCs to play together in a shared session seamlessly. 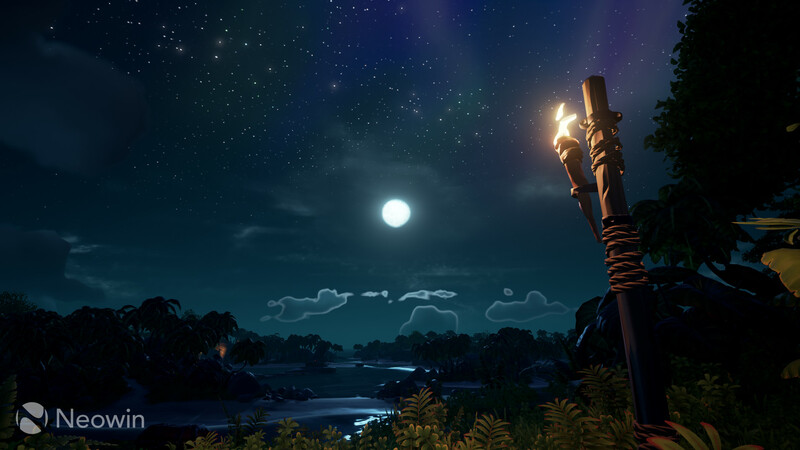 Naturally, this introduces various balancing concerns – from communication and combat to performance – but Rare has kept them in mind, ensuring that players on both platforms are on an equal footing, or at least as equal as they can be. 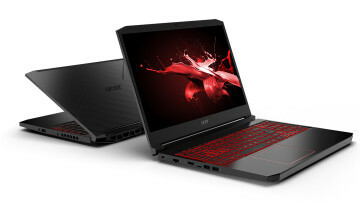 Vishal and Pulasthi are playing the release version of Sea of Thieves on PC, while I am playing on the Xbox One X. I did play the game with an AMD Radeon R9 270X during its open beta, and it ran like a dream. The game managed to keep a steady framerate throughout at native resolution running on ‘Legendary’ settings. On the Xbox One X, the game runs extremely well with its 4K HDR implementation. As far as what I have noticed – as I do not have the ability to count frames like a superhero - it seemed quite stable. On the Xbox One X, the game runs extremely well with its 4K HDR implementation. The only stuttering I did notice was due to latency and networking issues. I did not play the game on the regular Xbox One S – or original – so I cannot confirm that performance is on par with its bigger brother. On the higher-performant system, it does offer the ability to extend the Field-of-View to 90 degrees like on PC. Beyond that, it will also allow you to remap all buttons on your controller, if you so wish. However, I was concerned with the crossplay feature as mentioned. 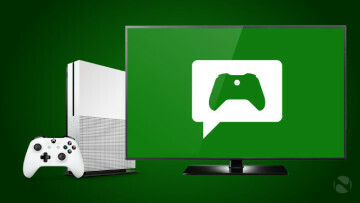 Setting up a game between two players on different platforms can seem like a daunting task at first, so I recommend that the player on Windows 10 invite the Xbox One players, because the latest operating system from Microsoft requires you to visit the Xbox app first – or check the Action Center - if others requested to play with you, as you won’t receive any indication thereof while in-game. The experience is just designed in a way that can cause confusion. Years of testing has certainly paid off for Rare; the game performs remarkably well on my mid-range setup, which consists of an Intel i5-4570, an AMD Radeon RX 580 8GB, 8GB of RAM, and a 1080p monitor. 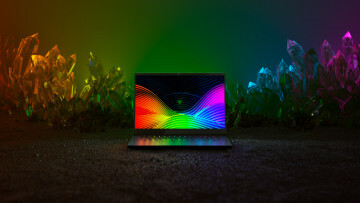 While I locked the FPS to 60 for most of my play sessions – matching my monitor refresh rate –, when testing performance without the FPS cap, the number consistently hovered around 80, never going below the righteous 60FPS mark. The graphics settings were completely maxed out, with the Field-of-View set to 90. What I did have issues with were the servers, which were effectively being hammered throughout the launch week, which also happens to be the week that reviewers were let into the game. There were several instances of being stuck in menus while interacting with NPCs, as well as moments where XP and gold were not being granted in a timely manner. The owed amounts did arrive quite some time later but turning in dozens of treasure pieces and seemingly getting nothing in return did lead to some frustrations. I haven’t upgraded my PC in the past few years, but Sea of Thieves does not consider that a hinderance. I have an Intel i7-2600K, an Nvidia GTX 680 2GB, 8GB of RAM, and a 768p monitor – yes, I still rock that resolution. These are PC-specific options, and clearly Rare thought it’s worth investing that effort for the PC port to add these features. The game recommends me the ‘Rare’ graphics settings, and I get a 60FPS on that for most of the time. There are occasional dips, and while that’s annoying, one can simply turn the graphics down a little. I also play with a Field-of-View of 90, which perhaps contributes to the occasional dips, as the game must render more content per frame. I must mention that the game on PC provides players with quite a few options, not just in terms of graphics but also controls. It’s possible to rebind every key – both for the keyboard+mouse players as well as controllers. There’s also an in-built toggle to display information like FPS and latency right in the game. These are PC-specific options, and clearly Rare thought it’s worth investing that effort for the PC port to add these features. I appreciate that. Sea of Thieves aims to set players free in an open world without much to hold them back. It works well for the most part, but not always, as we will find out. There is a currency – gold – that is used to buy cosmetic items for your character as well as the ship. You will also need gold to purchase voyages, but the first few voyages are offered for free. Before letting you jump into a life of piracy, Sea of Thieves makes you pick a character from a slew of randomly generated pirates. I must admit that I did take my sweet time selecting a pirate that was worthy of all the misdeeds I was planning to carry out. When I first fired up – and later restarted a new career for a friend – the lack of customization of your character became even more apparent. As Pulasthi notes, the game offers randomly generated options, which means you’ll spend quite some time trying to find your perfect match. However, the way this game is designed, won’t allow you to go back on this choice once you’ve grown tired. All progression is for naught if you happen to change your character, as it is tied to the chosen pirate from the start, and this includes all gold and in-game items. I personally would prefer that Rare decouple this from the pirate, giving ultimate freedom to the player in a game that is about freedom, for the most part. 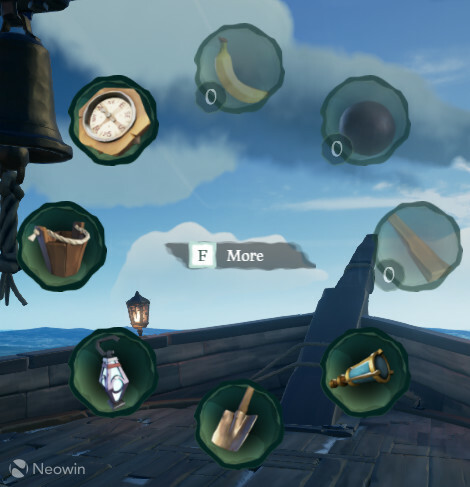 Once you do settle on a choice of look for your pirate self and log in to the game for the first time, it will put you through a tutorial; sticking to its very hands-off nature, this tutorial is very barebones, consisting of some messages that show up with instructions on how to eat bananas, switch weapons, and complete voyages. While I appreciated this method, where I had to figure out how the sailing works, how to equip different weapons, and so on and so forth, not everyone will be satisfied with such a basic tutorial in a high-profile game, especially players who are jumping in blind. As with every multiplayer-centric game, Sea of Thieves will undoubtedly have plenty of trolls and jerks who are trying to ruin their own crew's play session. Thankfully, the experiences I've had with random crews so far have been very pleasant ones, albeit sometimes quiet ones since some players seem allergic to mics. In one instance, one mean looking, rotund pirate adorned with cosmetics realized another crew member was a brand-new player and decided to spend the whole journey enthusiastically teaching the greenhorn the ropes. With my brilliant eavesdropping skills, I managed to pick up a few tips as well, like how you should play music to serpents to calm them and how golden skeletons are weak to water. I have to give props to Rare for going in this direction, another game would have had prompts pop up saying exactly how to tackle situations like these. I can attest to the tutorial views. 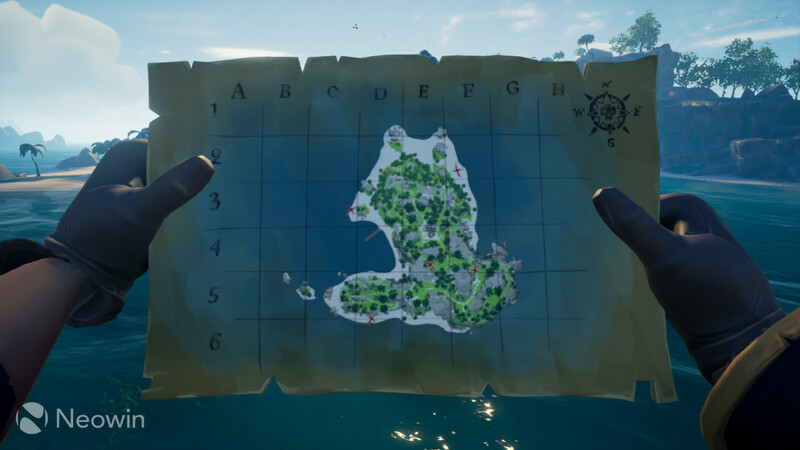 I played alongside several people who haven’t played the title in any sense before its official release, and beyond the bare minimum guides Rare added to Sea of Thieves, many of them kept hounding me for help, which ranged from finding a place on the map, to changing weapons, and so it would be recommended that the developer quickly add a more thorough run through with future updates. The radial menu used to switch tools and equipment is one of the key strengths of the game, as most tasks can be initiated by pressing the left or right bumpers with a controller. The game does offer several non-verbal message options depending on what you are busy with at any point in time, alleviating the silence to some degree pointed out by Pulasthi. If you happen to be allergic to using a mic, but must give directions to the captain, a radial menu bound to the D-pad on a controller will help you out quite a lot. I have used these myself numerous times in the past when my headset ran out of power during gameplay. I think the radial menu works, but it feels clunky on a PC with a keyboard and mouse. The game doesn’t feature much in terms of an interface – there’s a health bar that appears only if your health isn’t full, and that’s about it. Sea of Thieves relies on physicalized tools instead of an interface, something it has in common with games like Metro 2033. If you wish to look at the voyage instructions, you must switch to them with the radial menu and have it in your hand. The same goes for things like your compass and clock. This isn’t limited to items on you either; the world map is an actual map on a desk in the ship. If you want to increase the speed of your ship, someone has to lower the sails and align them with the wind. If you want to check your bearing, you can either look at the compass next to the captain’s wheel or look for the north star – yes, there’s one of those. I think it’s a great boost to immersion for these things to be physical items in the game, but the little interface that the game has in order to switch between some of these physical items leaves something to be desired. Thankfully, one can completely skip the use of that interface on the PC, as the game also binds all of that equipment to hotkeys. However, once you do get used to the radial menu (or the hotkeys on PC), working the ship and navigating the world becomes a breeze. A voyage starts with your character visiting one of the eerie looking individuals at a trading company. 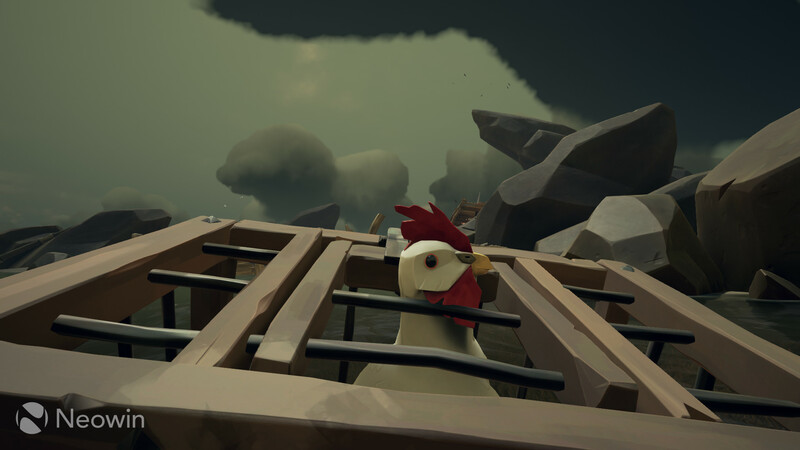 These people will offer gold to anyone willing to risk the high seas to find not only the skulls of long dead legendary pirates, but even chickens. The Gold Hoarders offer voyages where you need to locate the island depicted with an illustration or described with a riddle, and then find the chest buried in a shallow grave. The Merchant Guild, which is quite self-explanatory, is a group of people who require you to find specific items on islands. Items range from farm animals – which roam islands near and far – to produce, and even snakes. These items are then required to be delivered to specific outposts before the time runs out. Beyond that, if you find items such as silk and tea while exploring, you can sell these commodities at the Merchant as well, incentivizing players to explore islands after they found a treasure chest. Order of the Souls is the last one of the companies. They require you to hunt down cursed legendary pirates on very specific islands. Once there, several waves of skeletal followers will attack you in increasingly difficult battles, until the dreaded lord of the skeletons appears. Once this face-off is completed, you collect their skull and return it to the eerie lady at the company for a monetary reward. The fallen pirate’s level will also determine the value of their skull, ranging from the ‘Foul’ level, up to ‘Disgraced’ and higher. These missions become more complex over time as your level increases, with each company having its own progression. Unfortunately, I constantly lamented the nature of the quests, where if you played for long enough you would end up knowing each island by heart, and the exact spot where each treasure was buried. The quests from these companies offer a decent amount of variety, but I believe that they are not the meat on the bone. 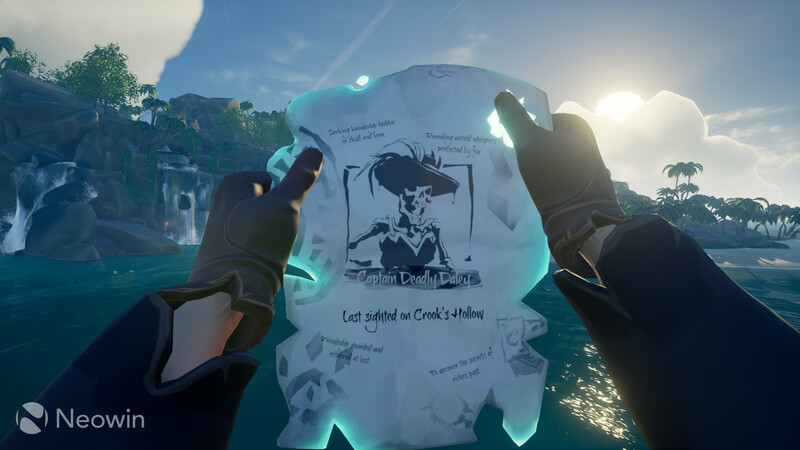 I think this is where most people get Sea of Thieves wrong; the quests are not the content, the people are. In some ways, Sea of Thieves is similar to games like DayZ, where it is entirely about interaction and its consequence, rather than whatever seems like the obvious objective. Quests, in this game, offer merely an excuse to go from point A to B. It’s the journey and the possible encounters on that journey that make this game fun. I once played an entire four-hour session of Sea of Thieves wandering aimlessly without a quest and it was one of my best playthroughs. Quests, in this game, offer merely an excuse to go from point A to B. It’s the journey and the possible encounters on that journey that make this game fun. Of course, it’s not always fun – you need a good crew that communicates to make it fun. In the sessions where I played with random people who had communication skills equivalent to a tower of giraffes, the game wasn’t much fun. I simply quit and queued for another session. 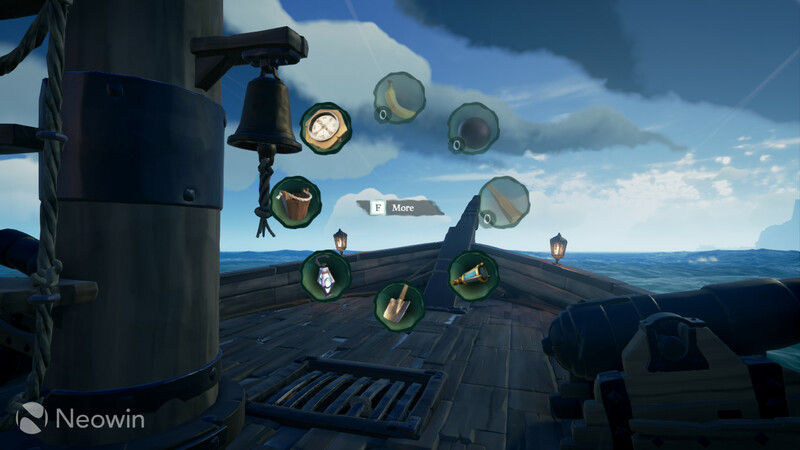 Completing quests or simply turning in random loot gets you gold coins, but it seems that they are a highly inflated currency in the Sea of Thieves. The prices for cosmetic items makes you thank Poseidon for the clothes on your back and the plain weapons you carry. Thankfully, Rare's day one patch did help with my desire to look somewhat more pirate-y, with it literally being a limited-edition eye patch named 'day one,' costing only one coin. Meanwhile, affording ship cosmetics seemed almost impossible at first due to the tens of thousands of hard-earned coins they require you to fork over. The moment I saw the options, I began a personal quest of saving up for a ship cosmetic that caught my eye, and after a week of playing, I am still short of a few thousand to purchase it. Considering I have yet to see a single ship without a default get up, some discounts may be called for. 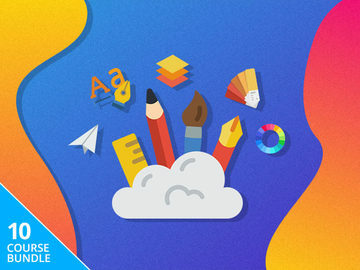 Of course, this depends on your crew’s make-up as well, as a well-coordinated team could try to focus on earning money and ignore any distractions. That may be a difficult task though, since the game is built to distract you and lead you astray to have adventures while you’re doing your voyages. The game does indeed lean heavily on the premise of a crew of players taking on challenges together. Playing alone – which was mirrored by the people I spent time with – exacerbated the idea that the game seemed to be dull and lifeless; finding other players on the high seas when playing alone is also a rare sight, which more often than not ends up in a gunfight. In one of my sessions, my crew was collecting items for our next quest while docked at one of the outposts scattered around the world, when another ship sailed along and promptly started shooting directly at us for no reason. This baffles me as the game does not reward you for any form of combat in any sense beyond the missions you complete. Killing another player only fulfills some deep-seated need to dominate, which only ends up annoying your fellow pirates. I understand the premise of such an endeavor as the enemy ship may contain treasure which you can loot. But in my opinion, it would be more of a fair game if the outposts became a neutral zone where players could come together and drink a pint without having to worry that some villain will sail along and destroy all their belongings in some mad fury. Or the game could at least offer a bounty on the head of those who kill players while they’re not hostile in any sense. This could also add to the fun, where repeat offenders are hunted down for some additional gold much like in games like Elite: Dangerous. I, on the other hand, disagree that Sea of Thieves should have safe zones. The unforgiving nature of the game is what makes the tense moments even more satisfying to go through, knowing that if the ship giving chase to us catches up, it will blow our understocked excuse of a boat to smithereens, and the only way to escape is to outsmart them. If outposts do become safe zones, no one would have any reason to give chase, since the other crew can simply beeline to the nearest outpost and be out of danger. 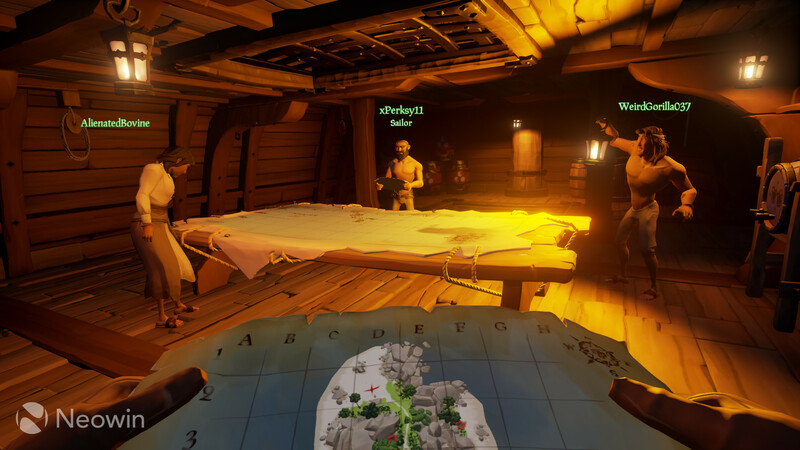 Instead of forcing players to interact with each other in a safe zone, Rare has made the decision to let that happen organically. But, always remember that are no friendlies in Cherno. 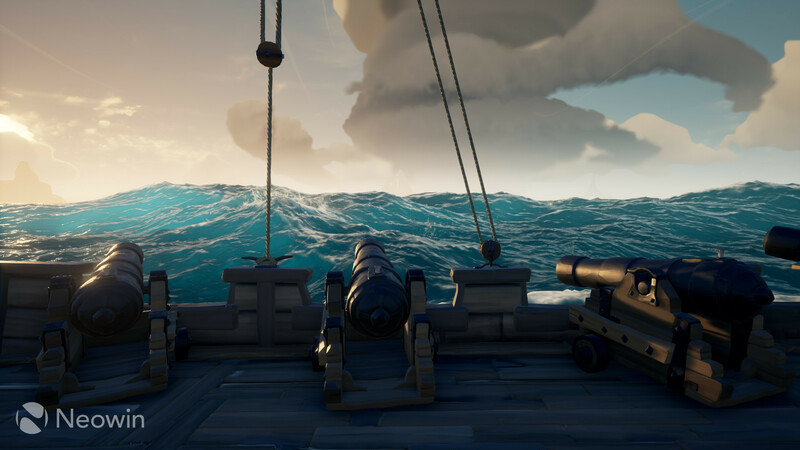 As noted by Dreyer, your fellow pirates in the Sea of Thieves can be jerks, but I believe that behavior is present in every multiplayer game, with often even teammates attempting to make your session miserable. Just as an example, I have played countless matches of Tom Clancy’s Rainbow Six: Siege where a random teammate killed the entire team at the start of a round for no apparent reason. That said, the game offers an option to play solo or with two players in a sloop, but due to reasons that Dreyer notes, I think playing with a crew of less than four is an utter waste of time. 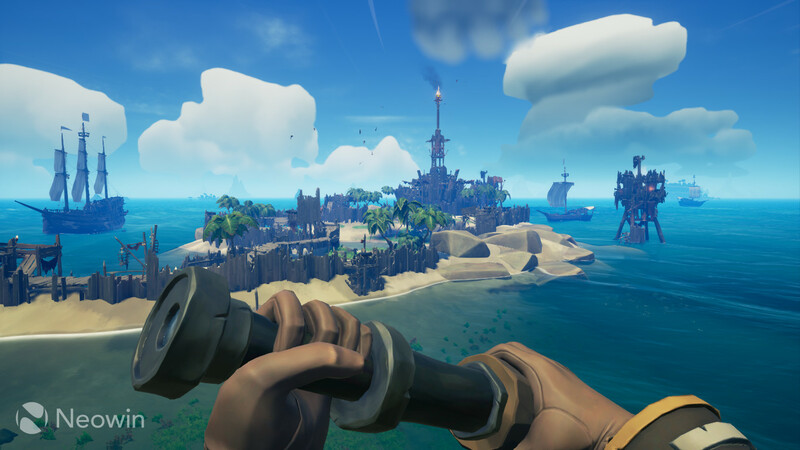 If you spend two hours plundering islands and bring your loot to an outpost only to be bombarded and sunk by a four-man galleon for no apparent reason, you aren't going to have a good time. Rare could implement a “behavior score” of sorts, something like what Rockstar has with Grand Theft Auto V’s online component. That, however, would still be against what this game is about; it’s a sea of thieves, not a sea of thieves with behavior police. As noted by Pulasthi, this game is about freedom and the unforgiving nature of that freedom and taking that away from it would cause more harm than fix its issues. 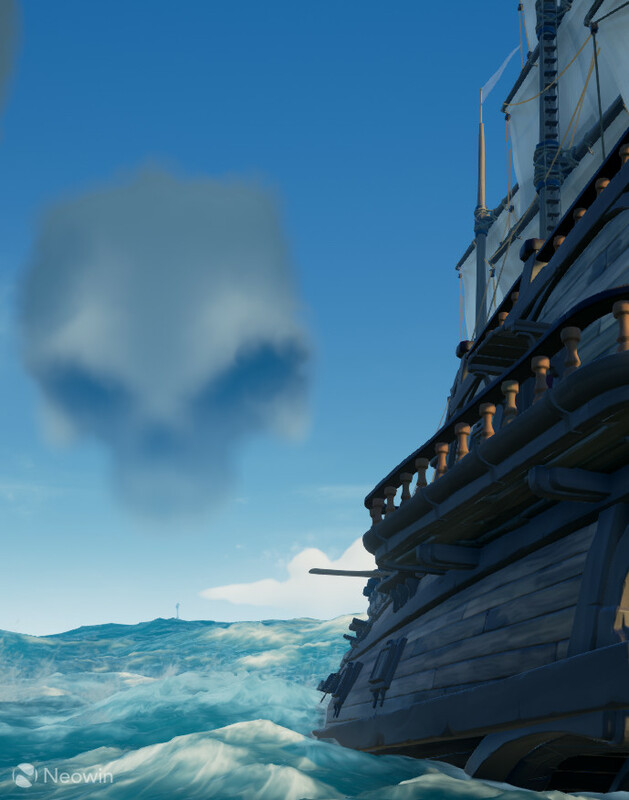 What I think Rare should improve on is the respawn mechanic for both players as well as ships. It becomes a pain when just five minutes after a hard-fought battle where your crew managed to sink the enemy, you see the same opposing crew sailing towards you with a brand-new ship which had apparently respawned nearby. Also, as your ship's lower decks function as crew respawn points, players that have boarded your ship can just camp the spots and blast you every time you come back to the world of the living. When this happened to me once, I had to re-queue into another server to not waste my time. 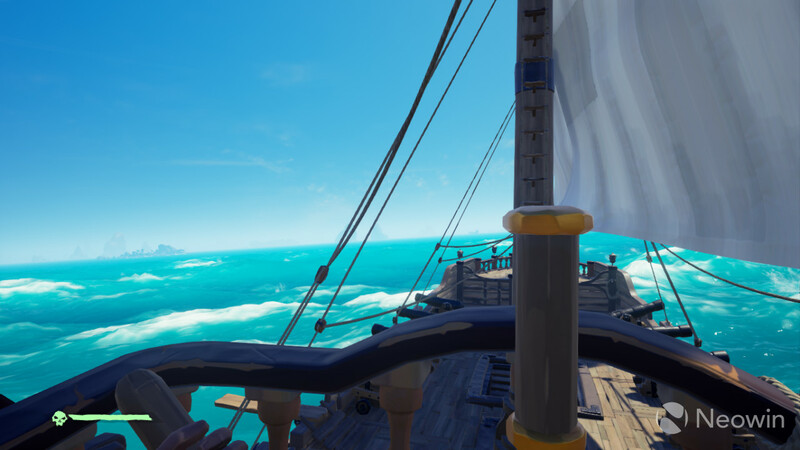 Rare might also want to consider increasing the amount of ships present in a session, as the world seems quite lifeless at times. I, for one, would enjoy seeing other people in the local pub when I visit instead seeing a drunk bartender wishing for some conversation. I would also prefer that the servers include those with similarly sized crews in the same game world. As noted above, it is quite annoying when you are constantly attacked by a four-man crew while on your lowly sloop. On the topic of player combat – it's quite mediocre. I think this goes back to the issues that come with Sea of Thieves being an Xbox Play Anywhere title with crossplay. In order to maintain a semblance of balance, sword and gun combat has been gimped on the PC. 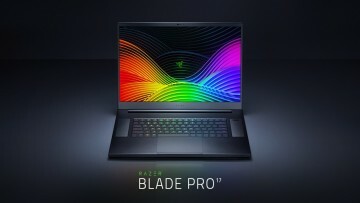 If you aim down the sights with any weapon – especially the sniper rifle –, the mouse sensitivity is reduced drastically; if you use a sword, the game essentially aims for you. These things do not bother me, but I can imagine it to be an issue for quite a lot of people. Ship combat, on the other hand, is a lot of fun. I agree with both points Vishal makes, while player-combat is uninspired, the ship combat is extremely fun. The uplifting sound cues alone that occur when a cannonball hits its mark on another ship makes me feel like I accomplished something amazing, especially on those occasions where I had missed the 20 previous shots. Sticking to long-range ship battles will quickly whittle down to a resource war, with the first ship to run out of cannonballs and planks being the one going under. However, most battles are much more flamboyant and frantic than that. This involves ships crashing into each other, pilots not realizing their vessels are headed towards rocks, crews trying to board each other's ships, making use of gunpowder barrels in inventive ways, and countless other interactions that occur in the heat of battle, where the most creative crew can easily come out as the survivor. This is where I think Sea of Thieves’ fun factor shines the most. You can have all the plans set up and ready to go with each one of your friends designated a role. However, when an actual battle starts, everything goes out the window, quite literally sometimes. The person who was supposed to steer the ship is suddenly overboard, the repair guy is on the enemy ship, the gunner has somehow shot himself out of a cannon into another continent, and I am playing sad tunes in Davy Jones' Locker with other unfortunate pirates. 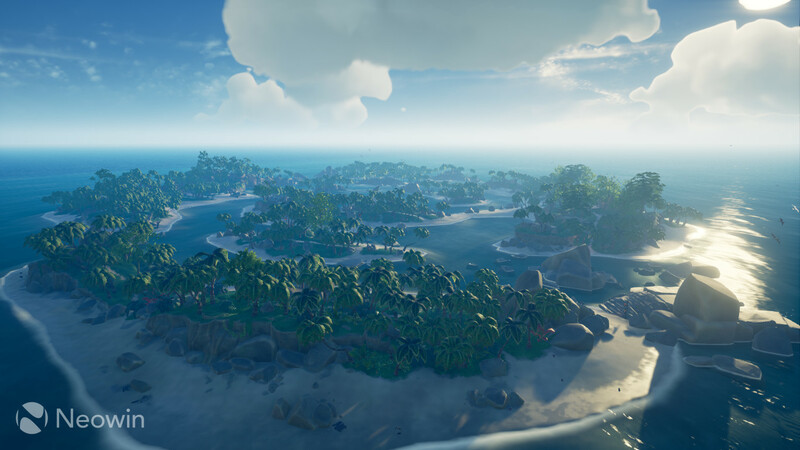 The world of Sea of Thieves is not only a beautiful one, but one brimming with possibility; the game can be considered frustrating at times, but it makes up for its shortcomings by presenting itself with one of the best-looking game worlds yet. Timeless, it will draw you back in long after its launch, thanks to its art style and music. One thing that struck me was that how innovative and forward thinking it was for Rare to have included the functionality where, if more than one person plays an instrument close to one another, the music synchronizes up to create a symphony of shifty pirates. Beyond that, for a title that focuses on the life of a pirate, the ocean is one of the best-looking features in the game. As one crewmate told me, it is so beautiful that it makes you want to jump in just to go for a swim, if it weren’t for the sharks. As for encounters with skeletons – and even chickens – the AI is clearly designed in a way that imitates self-preservation. I cannot count how many times I had to chase down a skeleton as it was running away from me to go find his friends during combat. These foes will also eat bananas – which is the health pack in the game – to regenerate themselves during a battle. Chickens run around aimlessly dodging you and your cage, and once inside, they try to free themselves constantly. If they’re not fiercely trying to flee, they look at you with their beady eyes with a clear stare of contempt adding to the comedy of the whole thing – that is when you and your friends aren’t laughing yourselves to death trying to catch it. I just want to add that the water in this game is hands-down the best I’ve seen in a video game. That is all. Absolutely, the best water ever. You can also get drunk and vomit in a bucket. What more could you ask for? While playing, I kept coming up with interesting and unique ideas on how Rare could flesh out the world in a way that would make fans of The Witcher 3 jealous. They have clearly tried, as the world is packed to the brim with other interesting sights to explore. One of the encounters that Pulasthi and I experienced in one of our playthroughs was the dreaded Kraken. Unfortunately – or luckily for him at least - Dreyer wasn’t present for this. An attack from the Kraken is sudden and unexpected. An eerie silence drops; the water turns dark; a loud roar tears the skies apart; a few seconds later several tentacles gush out of the sea raising themselves several stories high; and as the game switches to an appropriate track for this event, you realize that there is not much you can do. In the heat of the moment, your crew begins panicking and starts barraging the tentacles with whatever stock of cannonballs you may have. In the end, if you do beat the blood-curdling monster of the sea, the dark water simply recedes. There is no reward for scaring away the Kraken, except for the tale that you get to tell. I don’t know what would happen if you lose, however. I imagine the dead wouldn’t be able to tell their story. Aside from the monstrous things that scare the bejesus out of you, there are a few other things that invite you as well, or sort of; while sailing the seas in hunt for that golden pig or what have you, a foreboding skull hovering above the ocean with glowing green eyes draws you in like a moth to a flame. Some might find such a thing intimidating; but as an inquisitive person myself, I followed the skull to a heavily fortified fort island. Almost immediately I was bombarded by a rain of cannon fire, but as I crashed into the fort, a hoard of skeletons quickly overran me, some of whom looked like zombies. I concluded there and then that this endeavor was for those with bigger crews, not to mention those with better aim than I. As rightly pointed out by Dreyer, the very inviting skull forts are tough to go against if you are alone. Vishal and I managed to participate and come out as hard-fought victors, though, with some help. 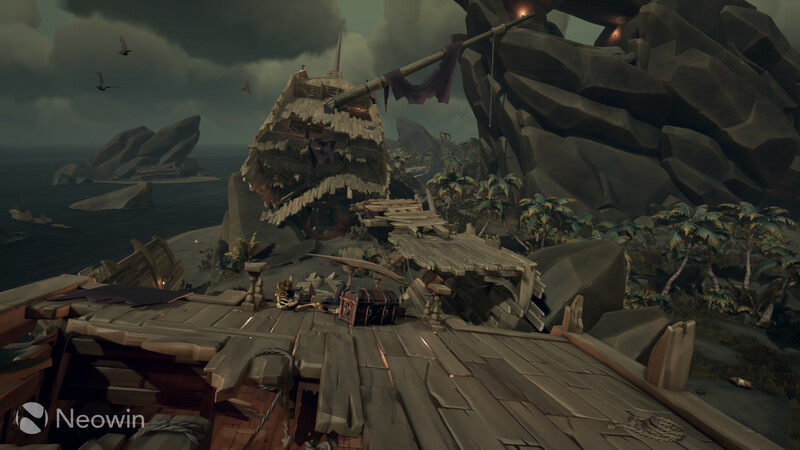 With our luck, the raid spawned closeby to where we were conducting 'really' serious ship business (also known as crashing into a rock), so we were the first crew to make our way to the fortress and meet the skeleton threats that Dreyer mentioned above. 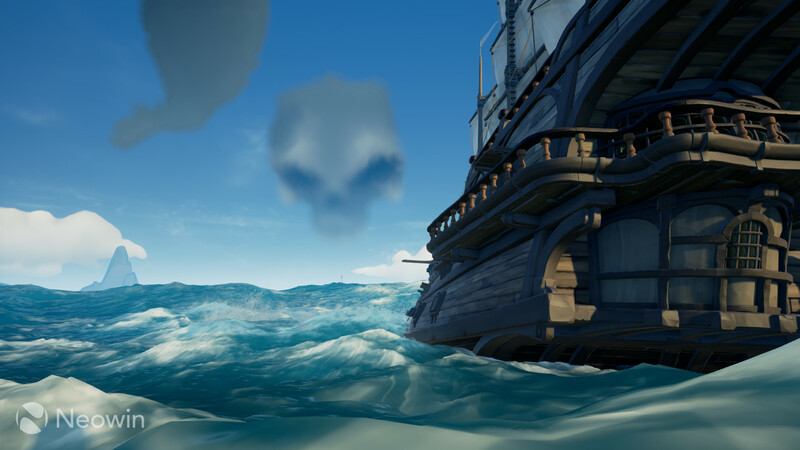 But before long, the ever-present floating skull drew in more ships, including two sloops and a galleon, all filled with pirates wanting to take the treasure for themselves, but willing to work somewhat together to defeat the seemingly never-ending skeleton waves. There were plenty of 'accidental' gunfire that blasted other crews, and maybe even some strategic gunpowder explosions to sink a galleon, but before long, the skeleton captain holding the key to the treasure room appeared and was quickly felled, and thanks to a friend’s quick thinking and Vishal's getaway skills, we sailed away with the key in hand, deciding to come back later to grab the booty. The rest of this tale involves an alleged robbery of the said key by a stowaway, plenty of missed gunfire, heartbreaks, and finally realizing that we weren't actually robbed in the first place. Ultimately, although we were handsomely rewarded thanks to the contents of the treasure room, Vishal and I both agreed that the real takeaway was the unforgettable gameplay session. Other interesting sites include caves, sunken ships, and so forth. During the beta we regularly encountered a sunken ship, however, found nothing within, which only frustrated us to no end. During the final game, a crewmate exclaimed that he had found a sunken ship adrift while on our way to an island. I wasn’t too excited, as with my prior experience this would only end up with us coming up empty handed and wet. But to my surprise, we not only found one legendary skull, but two of them. Beyond these side quests as you might call them, the game offers players other incentives including the discovery of a message in a bottle, which reveals yet another treasure. 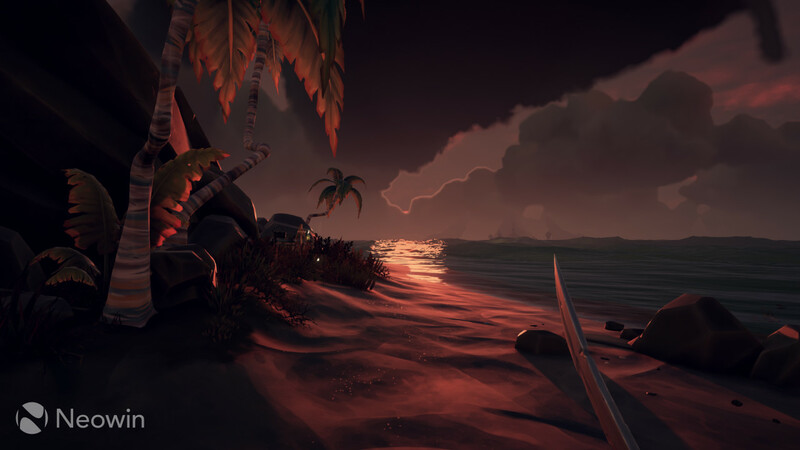 Beyond that, the skulls of pirate’s long dead may also wash ashore on an island, giving players the push needed to keep one eye on the one they pass just to make sure they do not miss something valuable. With all that said, I do think Rare could have packed more variety at launch when it comes to the world. In addition to the skeletons, sharks, and maybe the serpents, I would have liked to see more PvE threats, obviously keeping the ship-based combat exclusively player based. More kinds of neutral animals to liven the oceans and the islands, more weather events (tornadoes and whirlpools anyone? ), and while we are at it, some more server-wide happenings to tackle alongside other crews and a couple of more bosses wouldn't have hurt. Also, why are there only bananas to eat in this vibrant world, did a plague wipe out all fruits except for bananas right before all the pirates descended? I would agree that the world requires a lot more content and variety as discussed by Pulasthi. I, for one, would enjoy seeing a large fleet of merchant ships passing through the game world at specific times, which can be looted by pirates in massive multiplayer events much like the skull fortress. Beyond that, coconuts and mangoes would fit right in among the mountains of bananas present on islands. It would also be interesting to see a mechanic where you can buy rumors about other players carrying large amounts of loot during your play session from the lady in the pub. 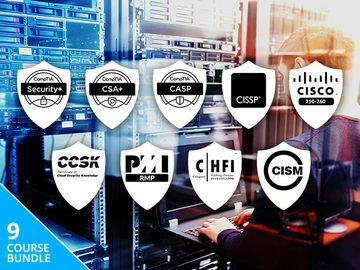 If you’re brave enough, you and your team can try to find them. As I mentioned earlier in the review, I believe that the quests are merely an excuse to make players traverse the seas, it is the journey that matters. Sea of Thieves needs more content for that journey and its destination. It would be nice if the game included things like fishing, for example. One thing that I especially feel the absence of is more things to do under the water. It’s a sea, so naturally there’s more of it underwater than above. Where’s the underwater exploration? It would be nice to have diving bells with an air pump on the ship, so a crewmate must constantly pump air to ensure the survival of others under the water exploring or digging lost treasures. It’s somewhat obvious ideas like this one that seem oddly missing from the game. For the price of admission, Sea of Thieves offers great value if you happen to sign up through Xbox Game Pass. However, at the full $59.99 price tag I find it hard to swallow. The game does offer massive potential by way of future additions and patches. But in its current state, I would have agreed to it going on sale for around $30 much like other multiplayer-focused games like PlayerUnknown’s Battlegrounds. For the price of admission, Sea of Thieves offers great value if you happen to sign up through Xbox Game Pass. Those hoping to jump in by themselves, this game will not offer enough to keep you enthralled for long. The extensive grind required by the missions, and end-game, will force you to employ the help from fellow pirates. So, if you do not have a large group of friends, it would be better to give this a pass for now, unless you’re willing to play with strangers. Beyond that, the idea that all in-game items are only cosmetic in nature does tend to dissuade people from working towards it. Adding some items that improve your ability to withstand gunfire, or a weapon that has higher damage than the rest, will make forking out thousands of gold worth it in my opinion. The fact that Rare did not include any semblance of loot boxes and paid micro-transactions is a good sign for the future of this game. So, with all that said, I think Sea of Thieves is a must try for those who are signed up to Xbox Game Pass. The only thing I’m truly disappointed in is the asking price. If it was around the $30 or $40 mark, this game in its current state would be a no-brainer recommend to everyone. Sea of Thieves provides a certain kind of fun that I haven't experienced in a game in a long time. The repetitiveness of voyages is offset by the amazing experiences I've had during clashes and interactions with other people. For a multiplayer fan like me, this gives the game a huge amount of replayability, as – even though the objectives remain a constant – no two voyages are quite the same. 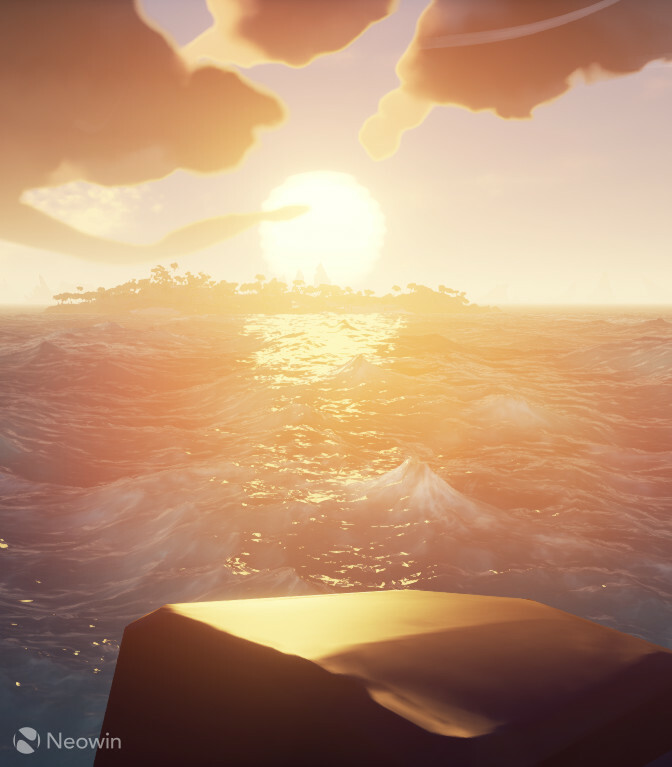 And, if Rare keeps updating the game with more reasons for me to keep unfurling my sails, I could be cruising the high seas with my friends for months to come. The only thing I’m truly disappointed in is the asking price. If it was around the $30 or $40 mark, this game in its current state would be a no-brainer recommend to everyone. But the $59.99 price tag for a multiplayer-only game that is best played with friends does throw a wrench into the process. 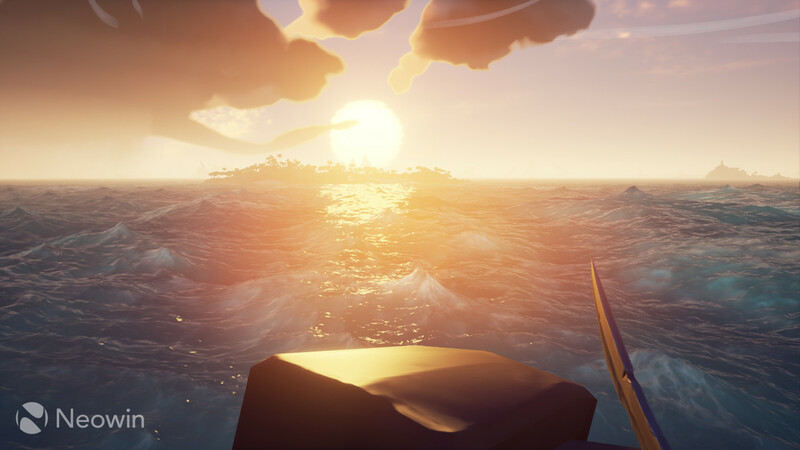 It’s true that Sea of Thieves provides a unique experience, but convincing players to buy it over other multiplayer games that provide cheaper entry fees – targeting groups of friends - may be difficult. Obviously, this makes the Xbox Game Pass method of acquiring the game a much more appetizing one if you’re at least keen on giving the life of piracy a try. Sea of Thieves starts at $59.99, meaning a group of four would be spending a total of about $240 on it. That’s by no means a small amount, especially considering the variety of games people can buy at much cheaper prices nowadays. There’s also the issue of getting your friends onboard with the idea of riding the waves. I think I would have honestly preferred a free-to-play model with microtransactions for this game, as much as that sounds wrong, as it would be easier to convince friends if the game came at the sweet price of free. Sea of Thieves can be obtained via the Xbox Game Pass subscription for $9.99/mo, but that still requires commitment to a subscription – an idea Microsoft is in love with these days. At some point, players will move on from this game to whatever’s popular next; if the barrier to entry is high, that drop will simply happen quicker. In the end, Sea of Thieves is a game with not much to offer on its own – it entirely relies upon the gameplay generated by interacting with other players in its semi-persistent beautifully-crafted open world. It’s a somewhat relaxing game that doesn’t ask for too much skill or attention from its players, just that spark of curiosity and the will to explore its world. However, at some point, players will move on from this game to whatever’s popular next; if the barrier to entry is high, that drop will simply happen quicker. Rare has said that it intends to continue working on more free content for the game, with large updates releasing every couple of months. If that does happen, it may make sense to buy this game at $59.99 – but it would be an investment in hope of a return, much like buying a season pass. As the game is right now, if a group of friends intends to play, it makes sense to obtain Sea of Thieves via the Xbox Game Pass – but shelling out $60 per copy for it doesn’t seem like a good idea. 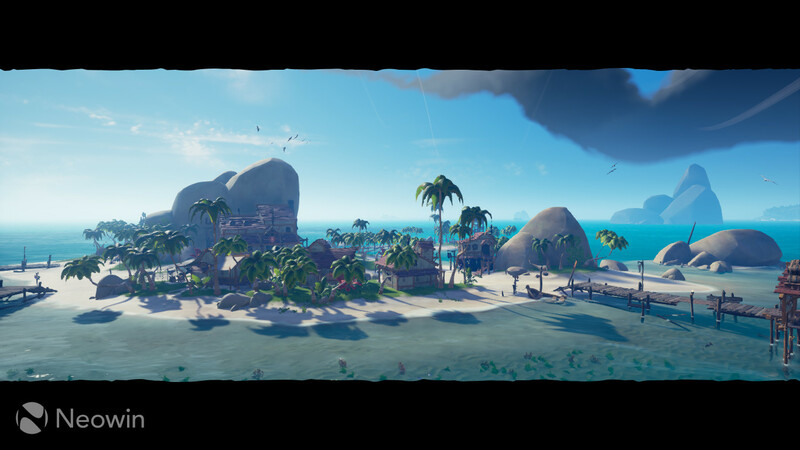 As Dreyer and Pulasthi note, Rare would have been wiser to release Sea of Thieves for about $30 to $40, at least for what it offers at launch. Neowin was provided with copies of the game for this review. This review is representative of the game's release version. Sea of Thieves is available for purchase from the Microsoft Store at the price of $59.99 or via the Xbox Game Pass at $9.99/mo for the Xbox One family of consoles and Windows 10 PCs.